LiveDoco - your database IS your documentation! 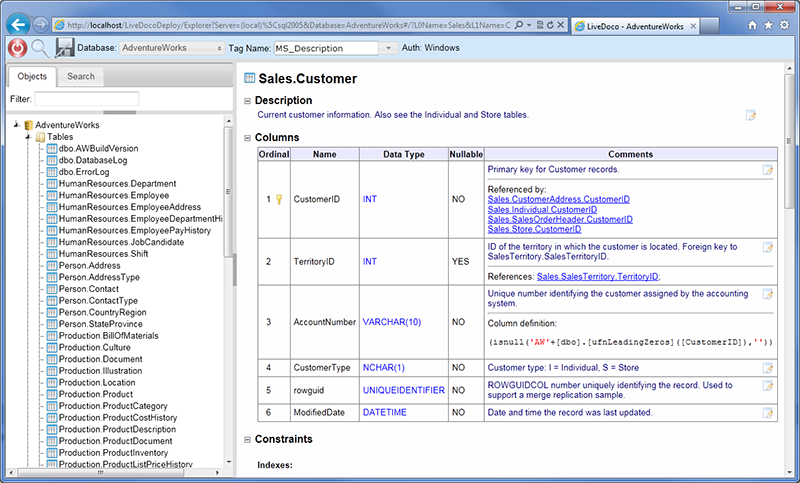 View the structure of your database, including object descriptions and source code. View and edit or delete extended properties, both standard MS_Description and custom ones. Export subsystem is extendable so you can add your own export templates using either XSLT or ASP.NET MVC Razor syntax.